The Jordan decomposition of a matrix. Before I can state the main theorem, I need to define a few terms for UFD’s, which behave much like : Our intuition from the case basically carries over verbatim. We don’t even need to deal with prime ideals and can factor elements instead. If is a UFD, then is a prime element if is a prime ideal and . For UFD’s this is equivalent to the following property: if then either or is a unit. We say divides if for some . This is written . The number is divisible by every element of . All other divisibility as expected. Show that if and only if the exponent of each prime in is less than or equal to the corresponding exponent in . If is a PID, then it is Noetherian and also a UFD. Proof: The fact that is Noetherian is obvious. For to be a UFD we essentially repeat the proof for , using the fact that is principal in order to extract . In this case, we have a Chinese remainder theorem for elements. Finally, we need to introduce the concept of a Noetherian -module. Its submodules obey the ascending chain condition: there is no infinite sequence of modules . All submodules of (including itself) are finitely generated. This generalizes the notion of a Noetherian ring: a Noetherian ring is one for which is Noetherian as an -module. where for some prime element and integer . Proof: Factor each into prime factors (since is a UFD), then use the Chinese remainder theorem. In both theorems the decomposition is unique up to permutations of the summands; good to know, but I won’t prove this. The proof of the structure theorem proceeds in two main steps. First, we reduce the problem to a linear algebra problem involving free -modules . Once that’s done, we just have to play with matrices; this is done in the next section. whose image on the basis of are the generators of . Let denote the kernel. Let and be two Noetherian -modules. Then the direct sum is also a Noetherian -module. Proof: It suffices to show that if , then is finitely generated. It’s unfortunately not true that (take ) so we will have to be more careful. (Note the asymmetry for and : the proof doesn’t work otherwise.) Then is finitely generated by , \dots, , and is finitely generated by , \dots, . Let and let be elements of (where the ‘s are arbitrary things we don’t care about). Then and together generate . Deduce that for a PID, is Noetherian. So it suffices to understand the map well. for the standard basis , \dots, of and , \dots, of . Of course, as you might expect it ought to be possible to change the given basis of such that has a nicer matrix form. We already saw this in Jordan form, where we had a map and changed the basis so that was “almost diagonal”. This time, we have two sets of bases we can change, so we would hope to get a diagonal basis, or even better. Swapping rows and columns, which just corresponds to re-ordering the basis. Armed with this knowledge, we can now approach the following result. Let be a PID. Let and be free -modules and let be a linear map. Set . Then we can select a pair of new bases for and such that has only diagonal entries , , \dots, and . Show that Smith normal form implies the structure theorem. Note that this is not a generalization of Jordan form. In Jordan form we consider maps ; note that the source and target space are the same, and we are considering one basis for the space . In Smith form the maps are between different modules, and we pick two sets of bases (one for and one for ). Now all we have to do is generalize this proof to work with any PID. It’s intuitively clear how to do this: the PID condition more or less lets you perform a Euclidean algorithm. We want to show, by a series of operations (gradually changing the given basis) that we can rearrange the matrix into Smith normal form. Define to be any generator of the principal ideal . If and are entries in the same row or column, we can change bases to replace with and with something else. and the first matrix is invertible (check this! ), as desired. Now we repeat the same procedure with this lower-right matrix, and so on. This gives the Smith normal form. and applying the theorem to completes the proof of the structure theorem. Now, we can apply our structure theorem! I’ll just sketch proofs of these and let the reader fill in details. 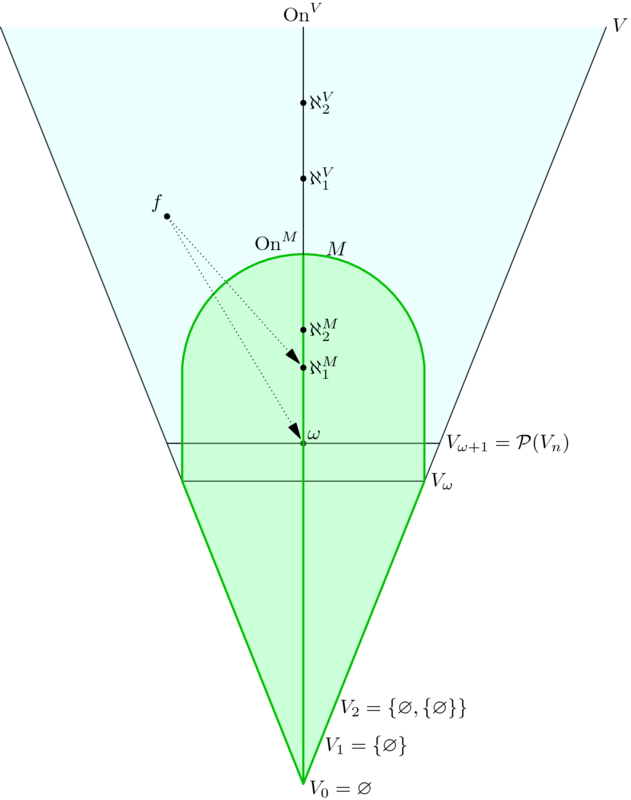 A vector space over a field has a finite spanning set of vectors. Then for some , . Proof: In the structure theorem, . Proof: View as a -module with action . By theorem for some polynomials , where . Write each block in the form described. Let where is a finite-dimensional vector space over an arbitrary field which is algebraically closed. Prove that can be written in Jordan form. Proof: We now use the structure theorem in its primary form. Since is algebraically closed each is a linear factor, so every summand looks like for some . This is a draft of Chapter 15 of the Napkin.